A first hearing of the trial scheduled for 10:30am this morning was cancelled after the criminal court failed to deliver a summons chit to Ali Waheed. The former lawmaker has been living in exile in the UK since June last year. Ali Waheed, the exiled chairperson of the main opposition Maldivian Democratic Party, has been charged with terrorism over alleged incitement to violence during last year’s May Day mass protest. 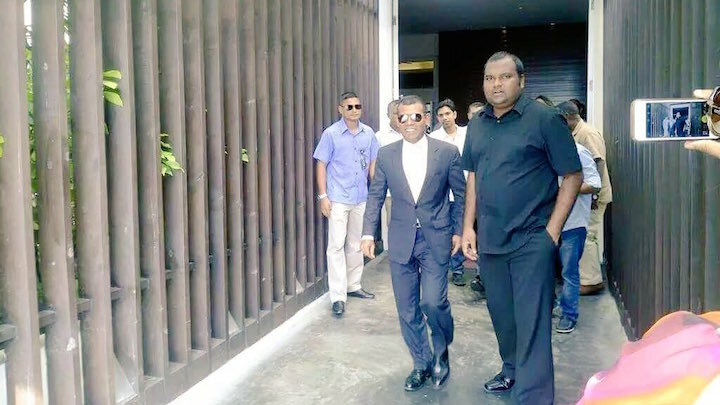 A first hearing of the trial scheduled for 10:30am this morning was cancelled after the court was unable to deliver a summons chit to Waheed. The former lawmaker has been living in exile in the UK since June last year. 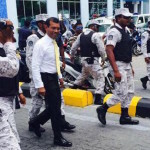 He was arrested along with other opposition leaders on the night of May 1 following violent clashes between police and protesters and fled the Maldives shortly after his release from custody. The terrorism charge was filed on September 18. The Prosecutor General’s office previously declined to prosecute Waheed after the police forwarded terrorism charges last year. The PG office spokesman was not responding at the time of publication. Waheed is also the deputy leader of the Maldives United Opposition, a coalition of opposition parties and top former government officials launched in London last June with the goal of removing Yameen from power. Waheed was granted political refugee status by the British government last August. A month later, the immigration department revoked his passport. 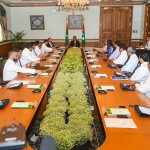 The department declared that Maldivian citizens who are ordered to return to the country in connection with an ongoing investigation do not have the right to reside overseas using a Maldivian passport. In February, Adhaalath Party leader Sheikh Imran Abdulla, who led the 25,000-strong May Day protest, was handed a 12-year jail sentence over a speech he gave at the historic mass rally. He was also charged with terrorism and accused of inciting violence. Imran’s conviction was widely condemned over apparent due process violations. 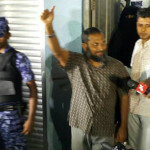 Ameen Ibrahim, deputy leader of the Jumhooree Party, was also arrested with Imran and Waheed after the May Day protest. He also fled the Maldives with Waheed in June last year after the PG office filed terrorism charges in court. Waheed has since appeared frequently on the opposition-aligned Raajje TV to level allegations of corruption against Yameen. 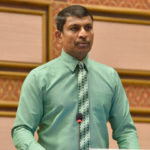 In February, he challenged Yameen to dispute evidence showing that a local company implicated in the Maldives’ biggest corruption scandal had deposited US$500,000 to his bank account. He was also interviewed for an Al Jazeera corruption exposé aired last month, which was based on new evidence gathered from the mobile phones of Yameen’s jailed former deputy. Hours after the documentary was posted online on September 7, the immigration department cancelled the passports of former President Mohamed Nasheed, former Vice President Dr Mohamed Jameel Ahmed, and two senior MDP officials living in exile. The criminal court also granted warrants for the police to arrest and bring the pair to the country. 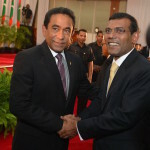 The warrants were issued after Nasheed and other opposition leaders travelled to Sri Lanka after several months of exile in the United Kingdom, fuelling speculation of Yameen’s imminent ouster. The MUO has vowed to arrest Yameen on charges of corruption, money laundering, and abuse of power. The embattled president has denied any role in a historic corruption scandal involving the theft of some US$80 million from state coffers.